These 4550 Reactors extend the size range of the 4530 Series to 1 and 2 gallon (3.75 and 7.5 liter) sizes, providing excellent facilities for pilot plant studies. Both fixed head and moveable head designs are available. The 1 gallon size is usually recommended for high viscosity polymer studies. An optional bottom drain valve may be added for convenient product recovery. 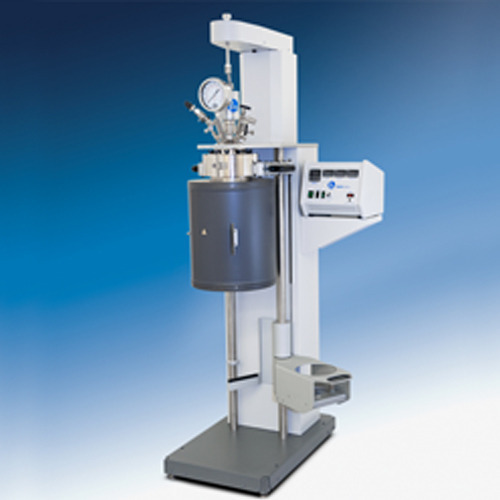 As with the smaller floor stand models, these larger, self- contained systems can be equipped with a variety of attachments, such as: condensers, solids charging port, bottom drain, special motors, special heaters, jacketed vessels and automatic valves and regulators.